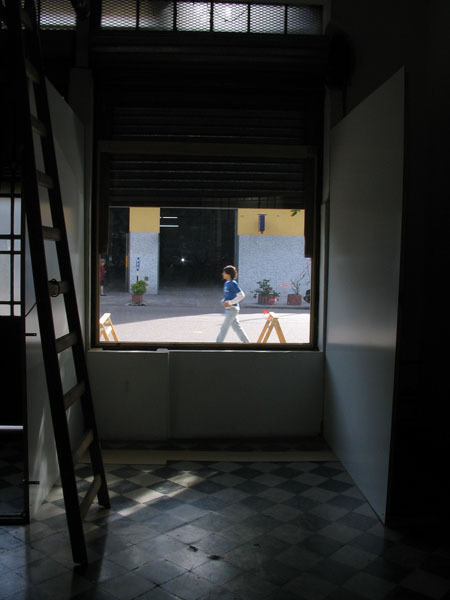 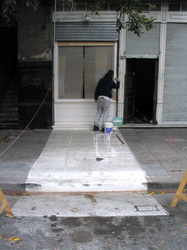 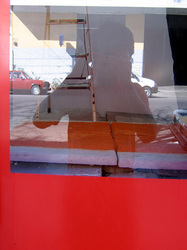 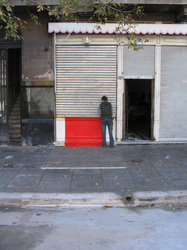 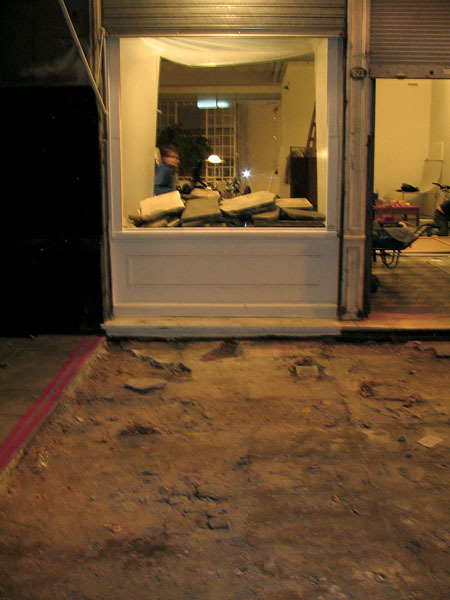 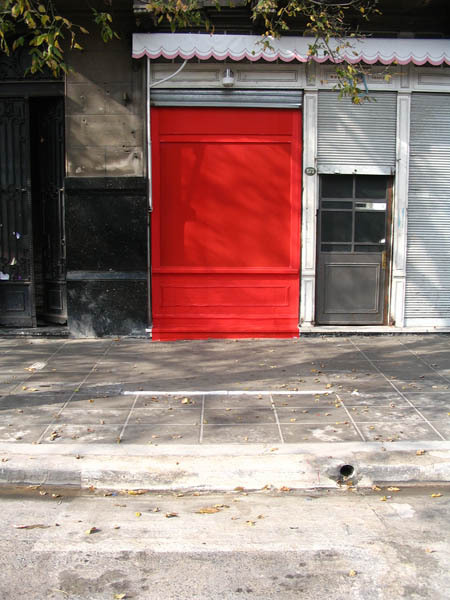 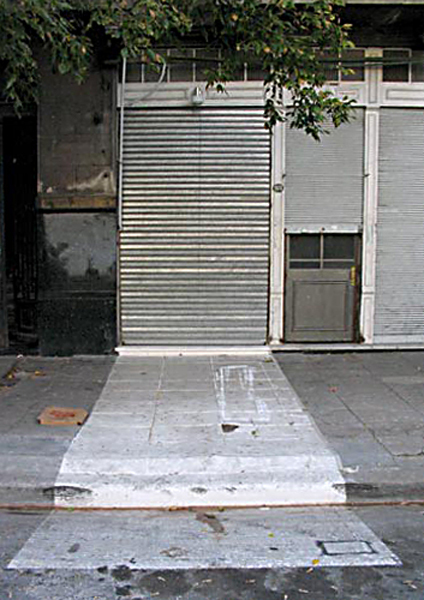 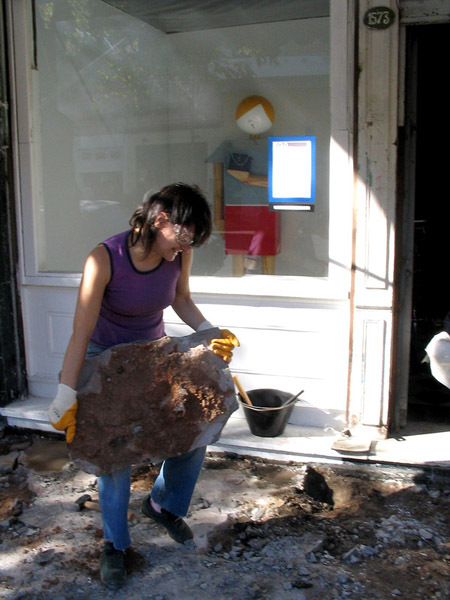 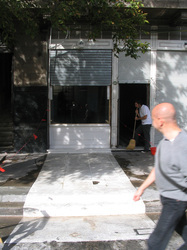 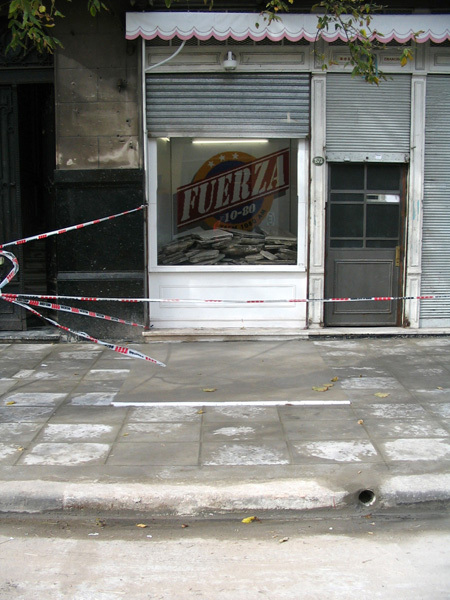 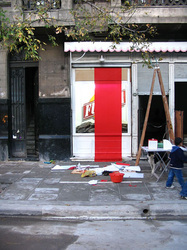 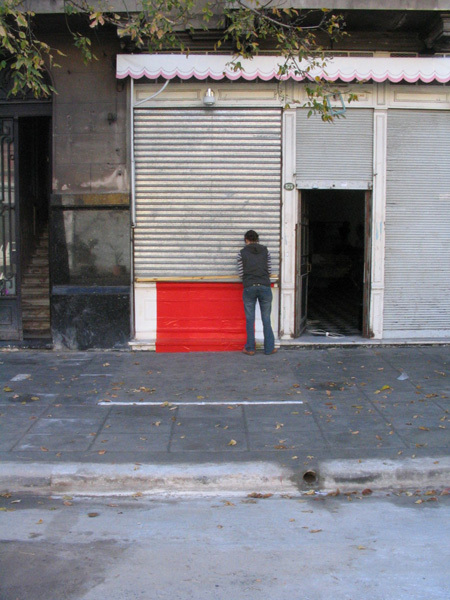 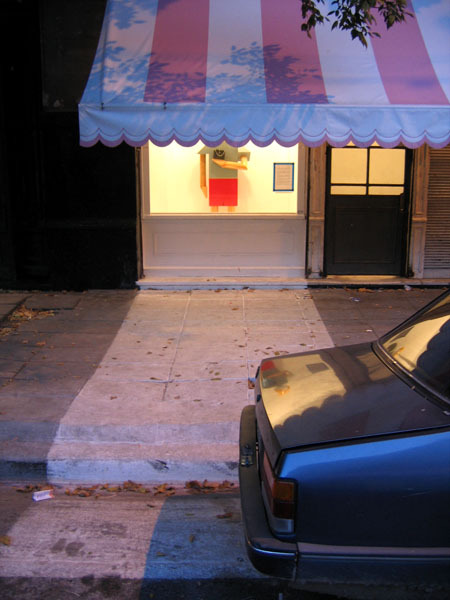 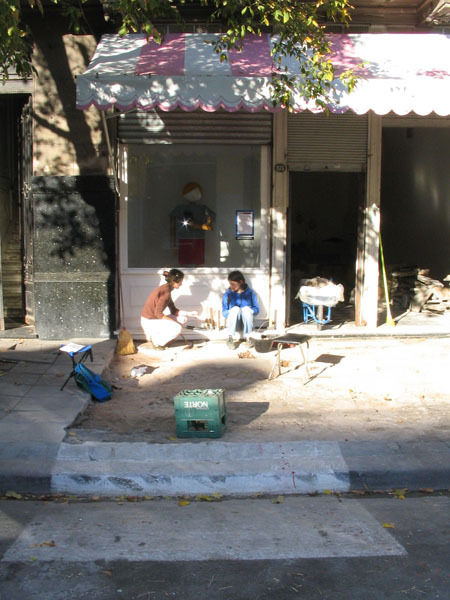 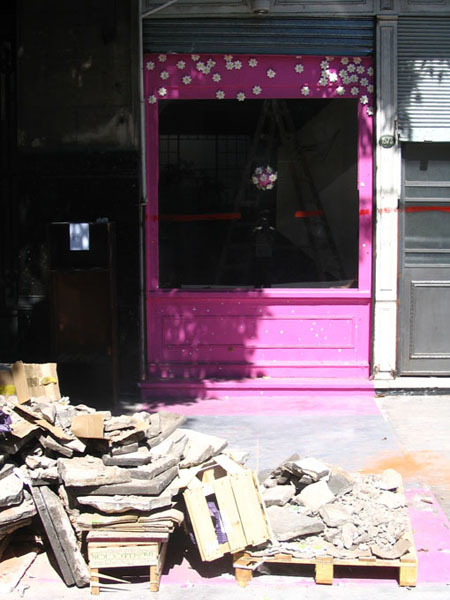 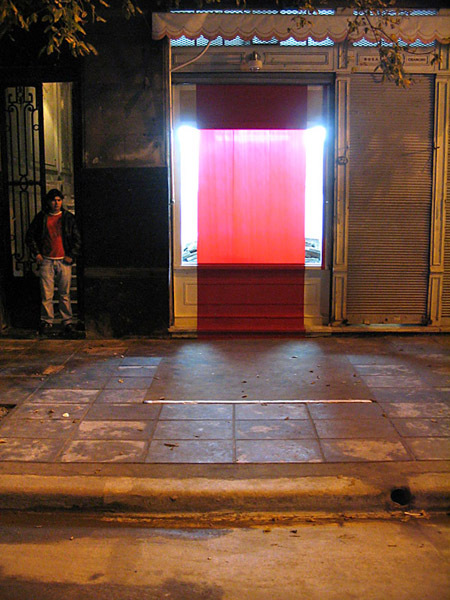 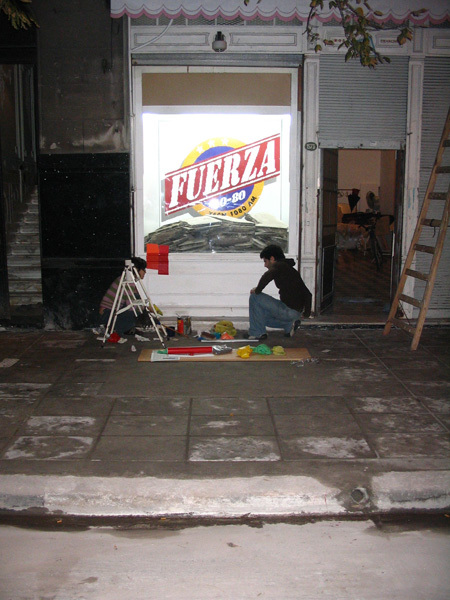 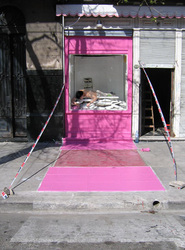 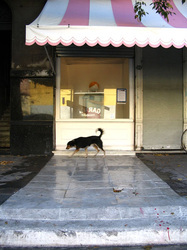 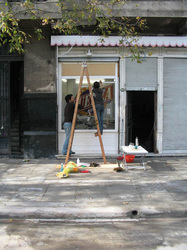 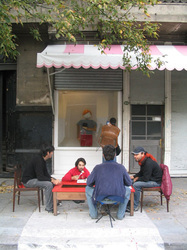 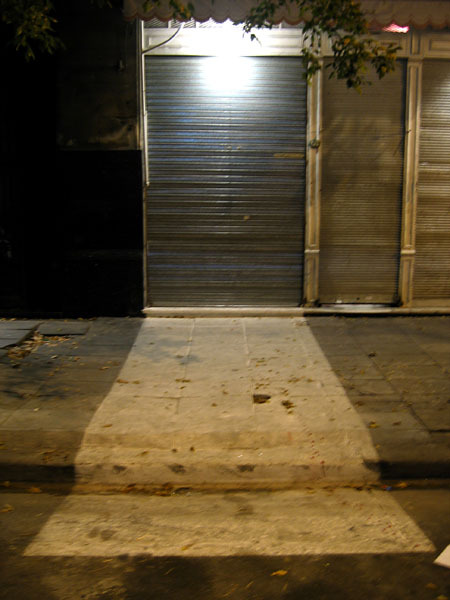 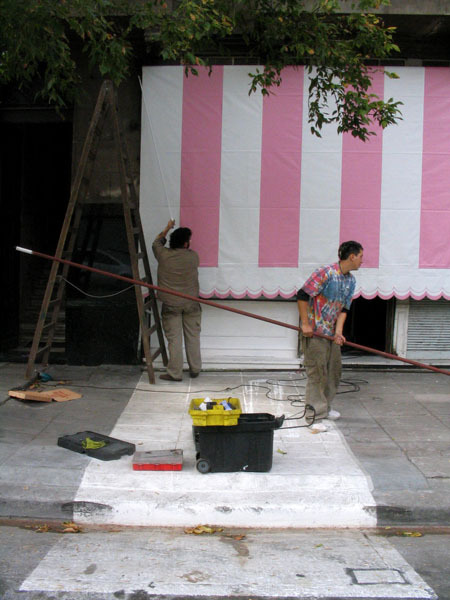 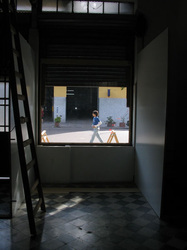 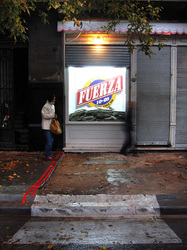 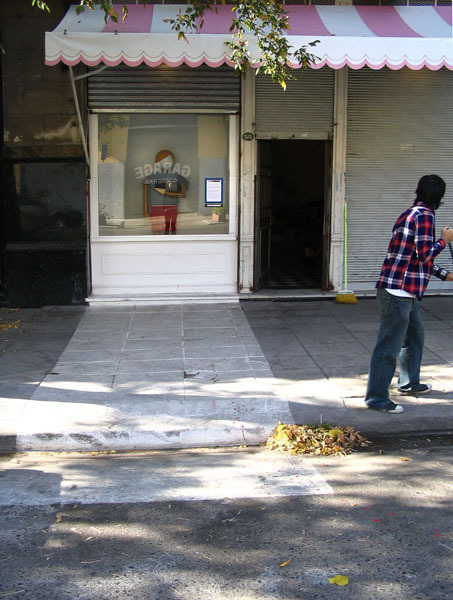 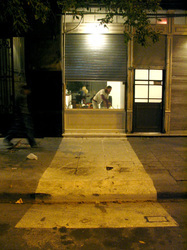 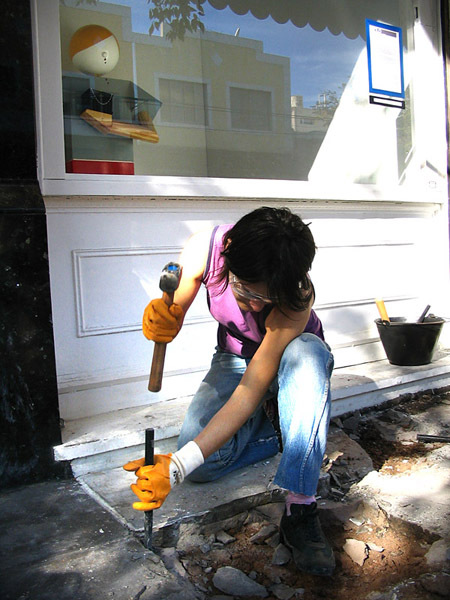 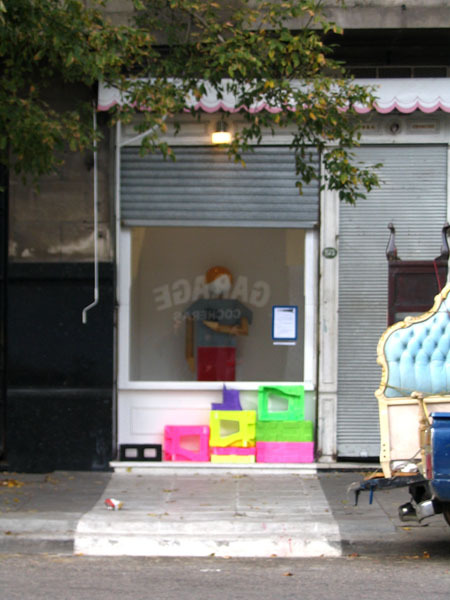 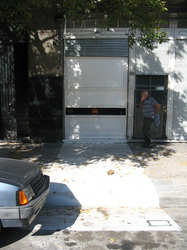 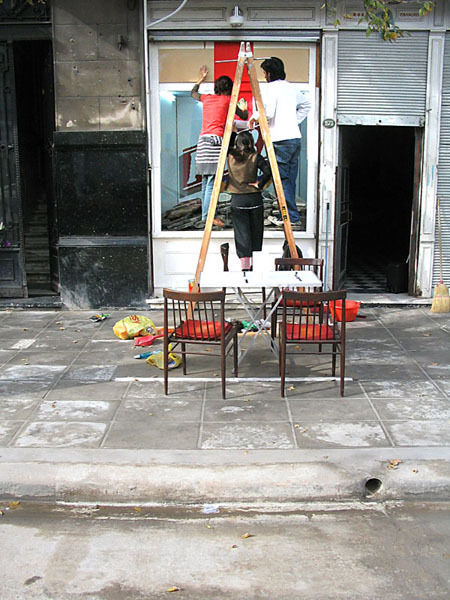 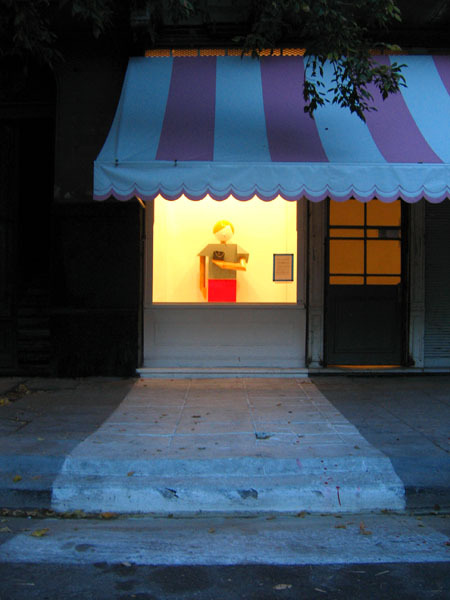 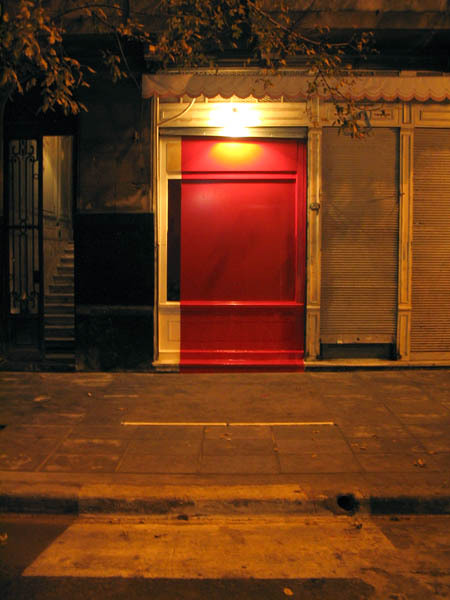 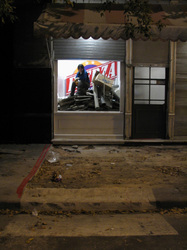 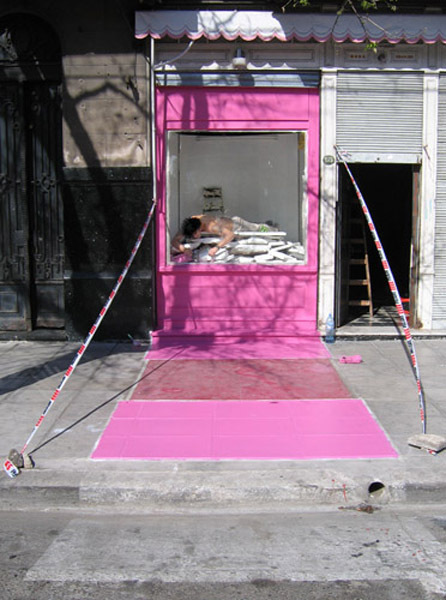 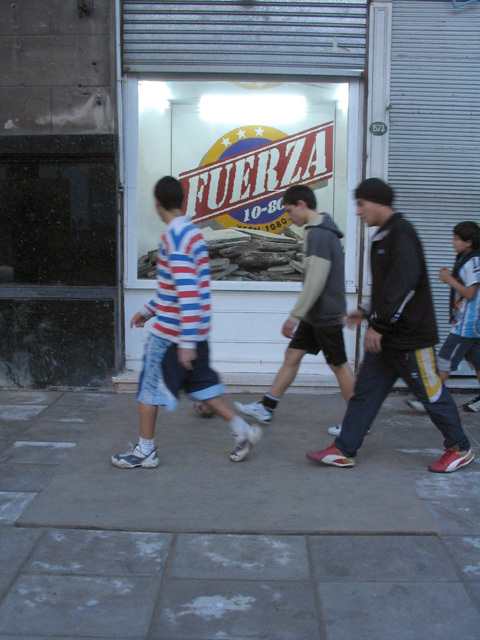 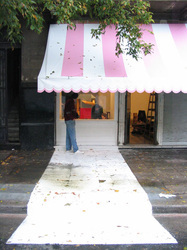 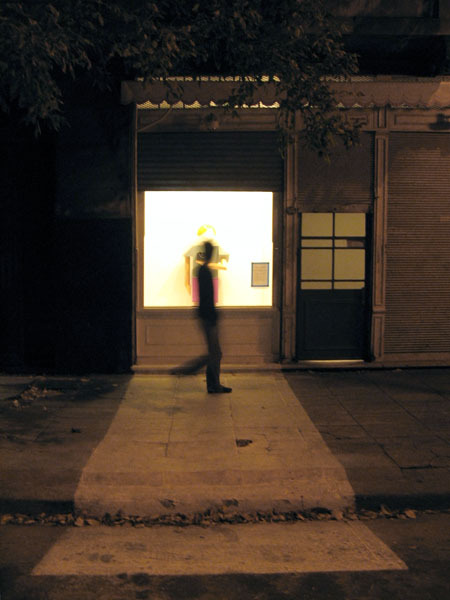 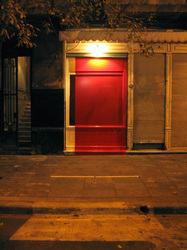 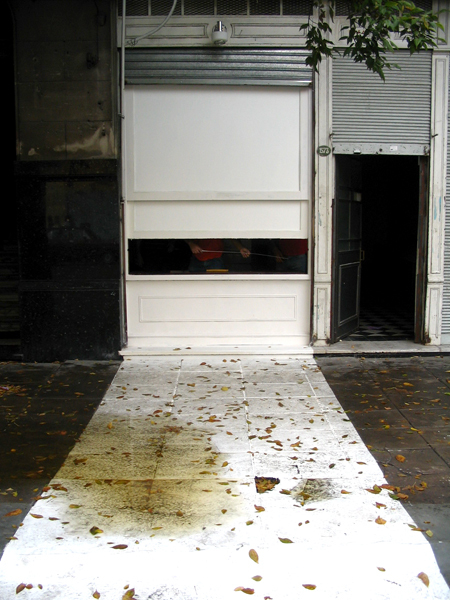 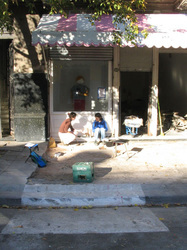 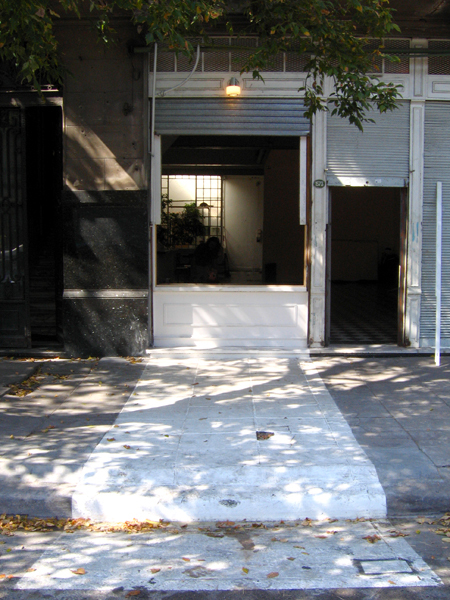 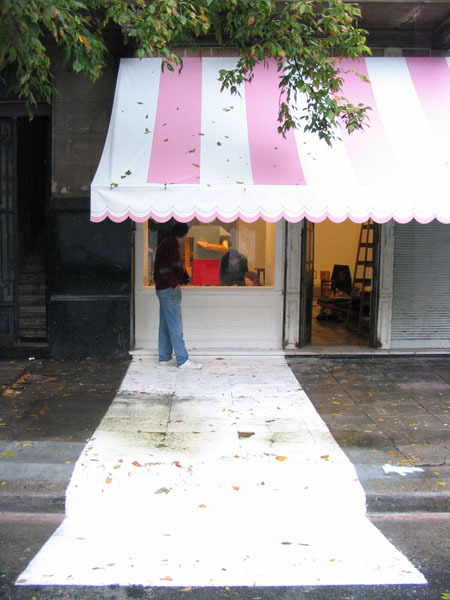 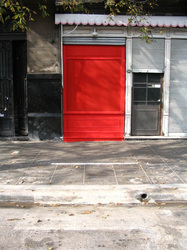 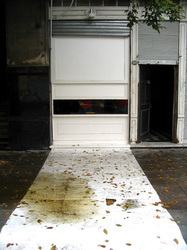 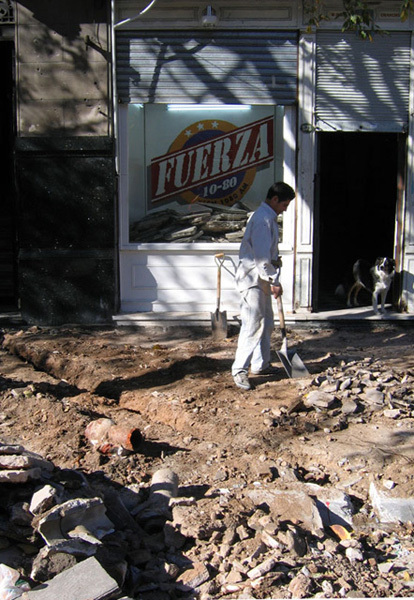 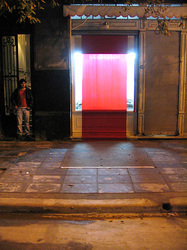 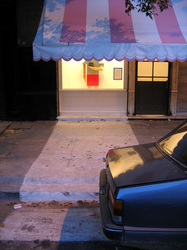 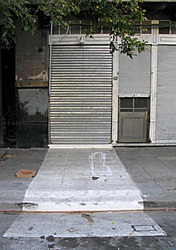 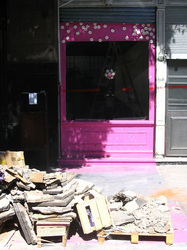 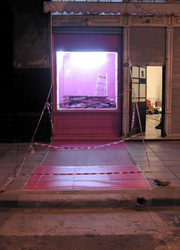 We set up a gallery by painting white the front window, the sidewalk and part of the street of a rented store. 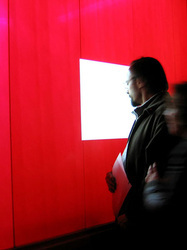 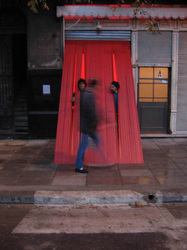 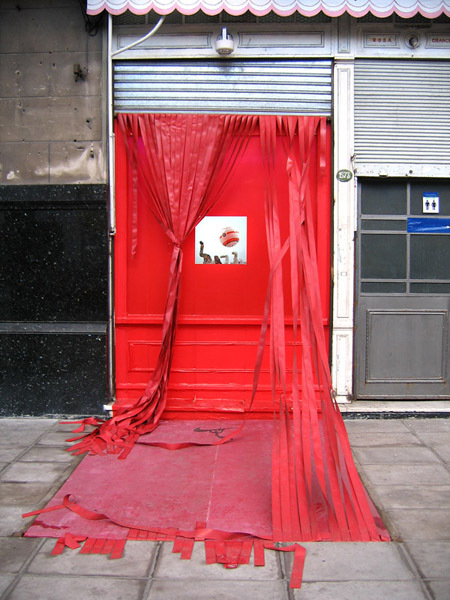 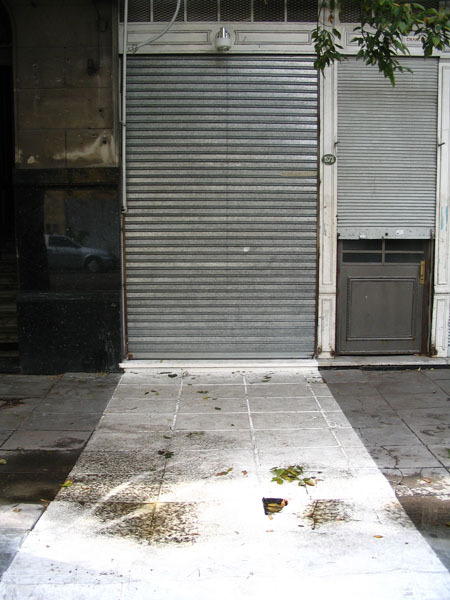 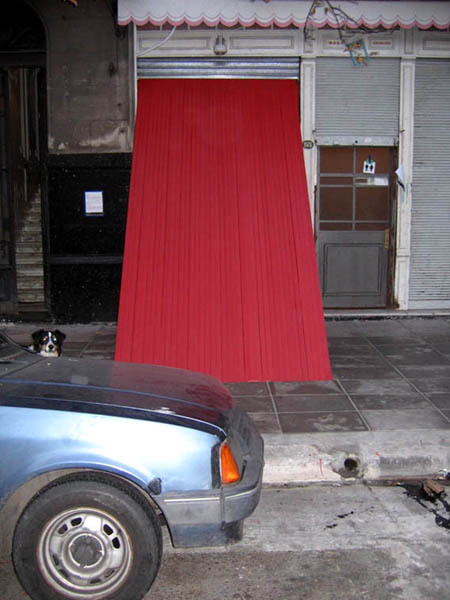 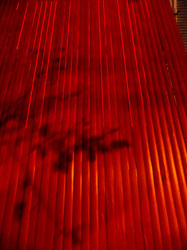 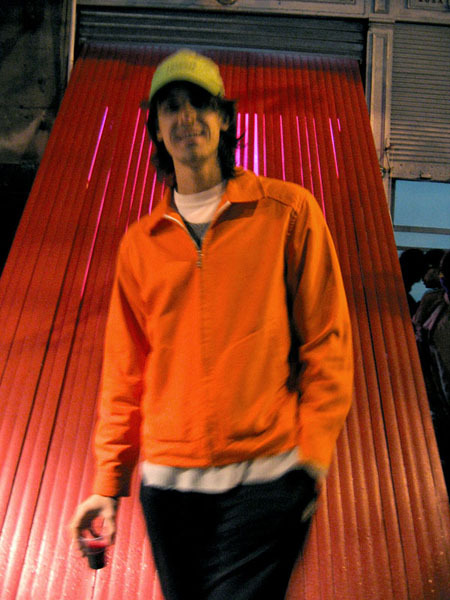 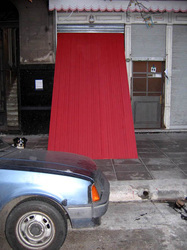 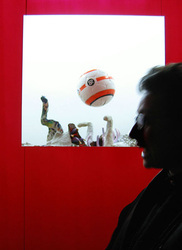 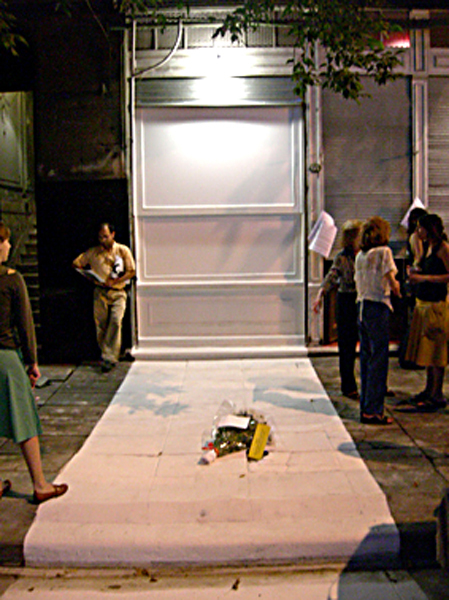 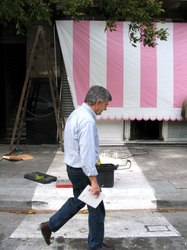 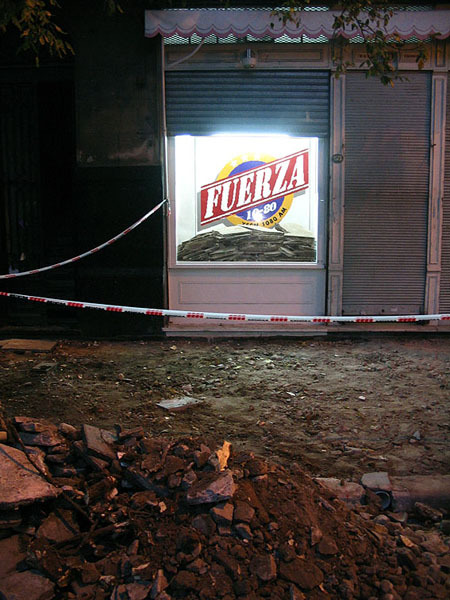 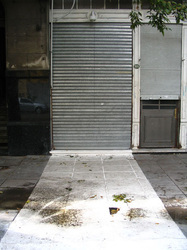 As a first intervention it was inaugurated with no exhibition on March 2006. 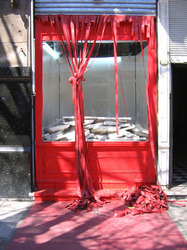 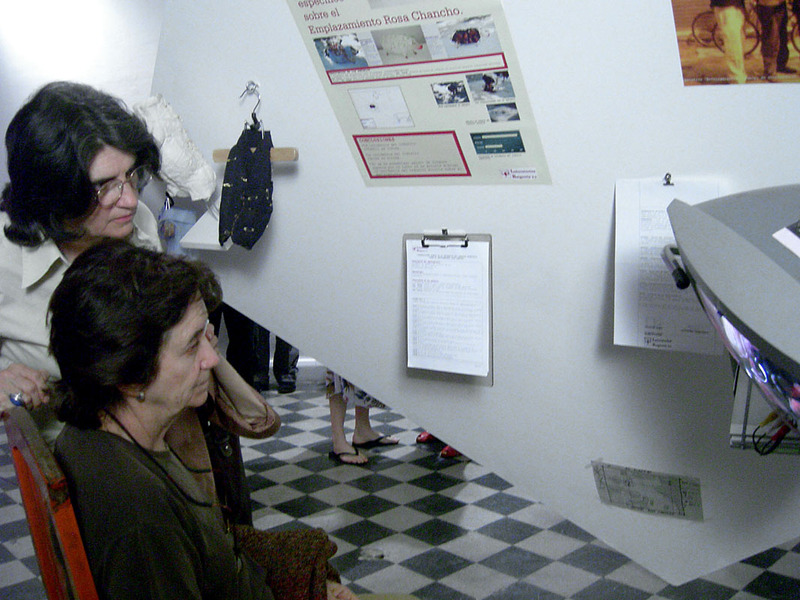 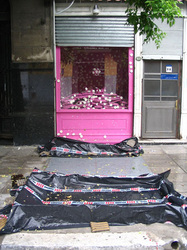 Twelve artists worked over the space, distributed in three roles: the Window, the Monitors and the Parasites. 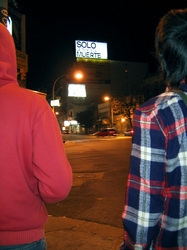 Each one had its own rules. 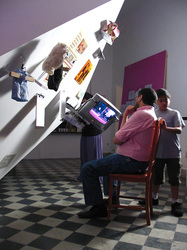 All works were specially projected for this format. 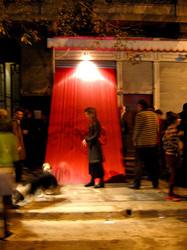 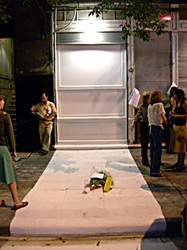 Exhibitions openings were held at the outside until the Monitors stage, where the project was moved to a white cube suspended from the roof inside the store. 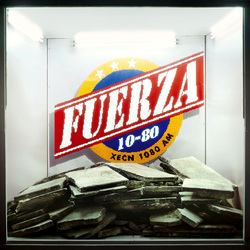 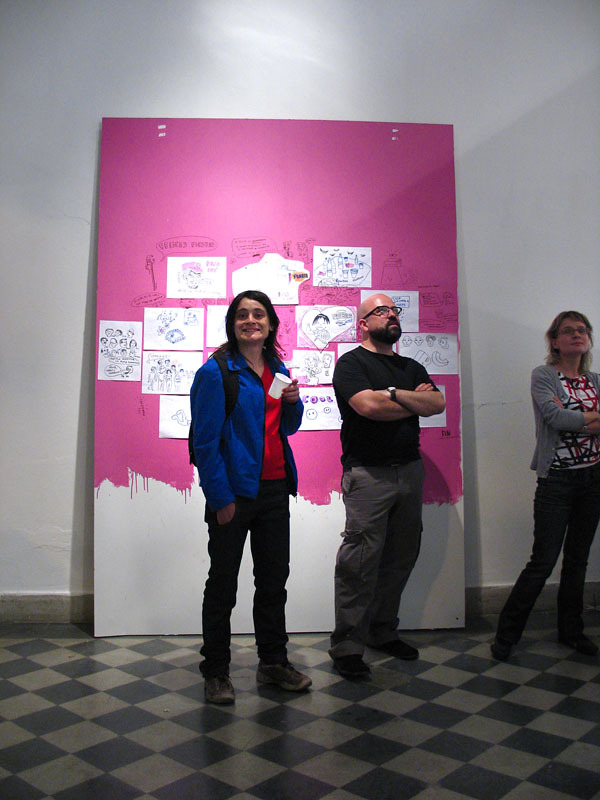 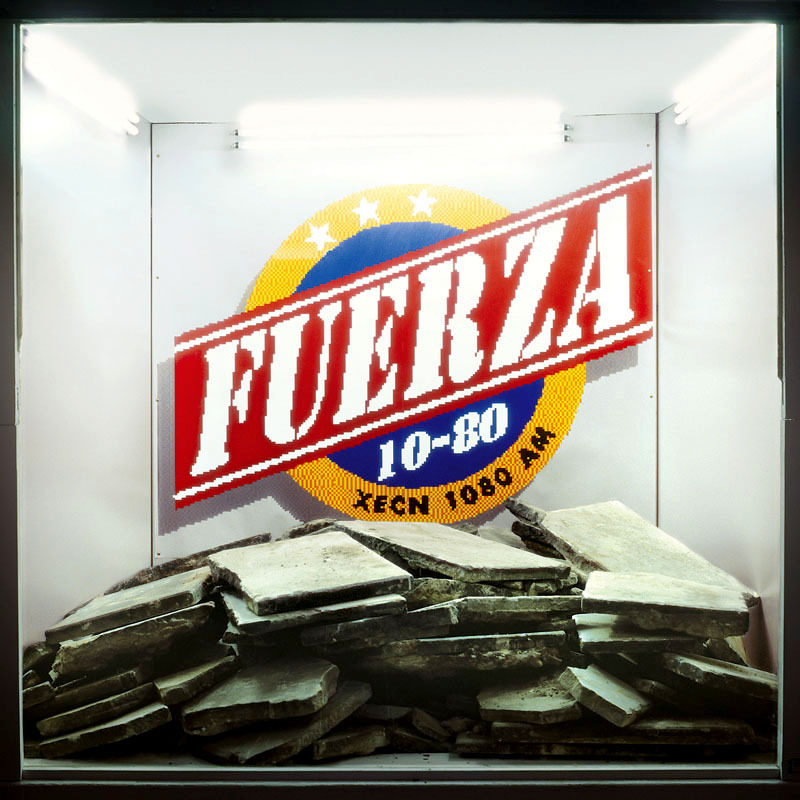 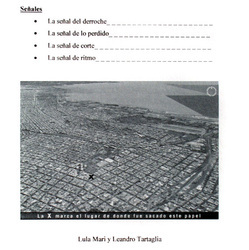 Orilo Blandini - Luciana Lamothe – Noelia Yagmourian – Carlos Huffmann – Andrea Cavagnaro. 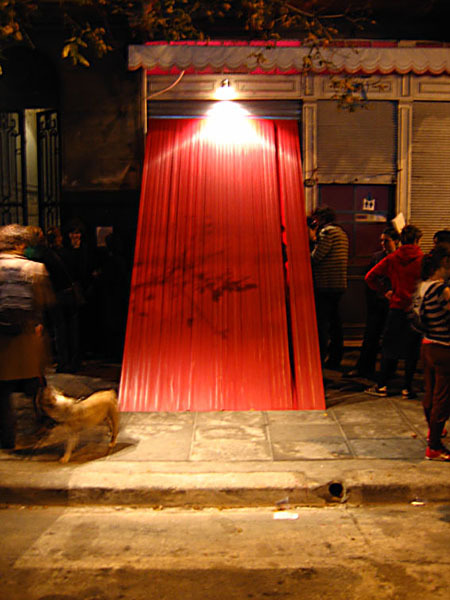 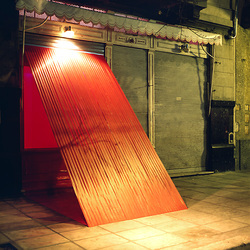 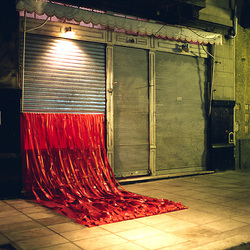 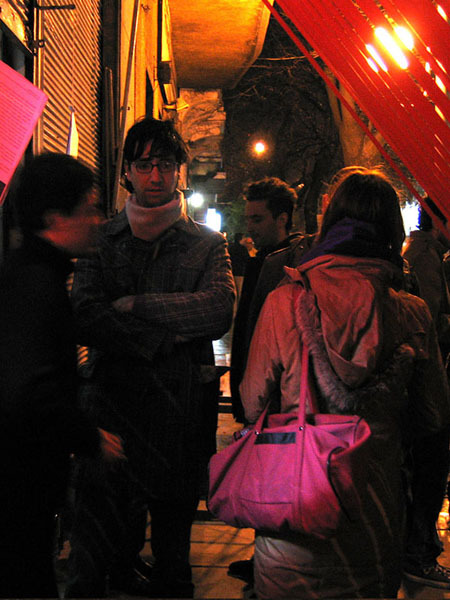 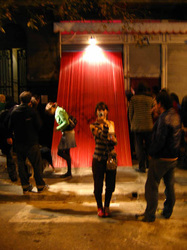 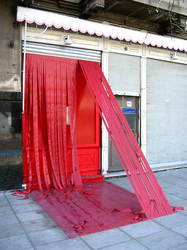 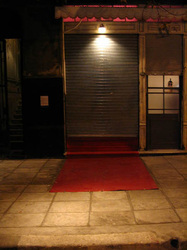 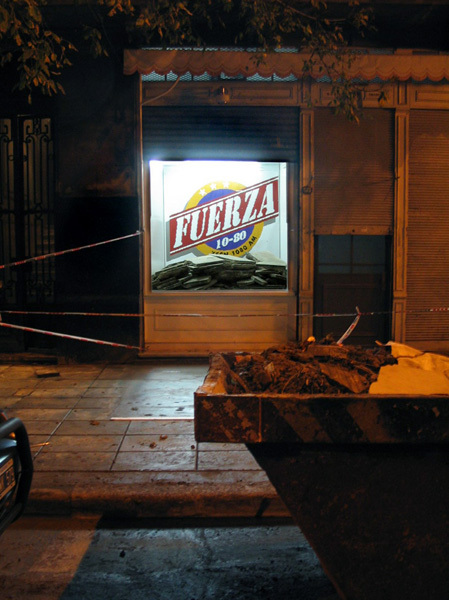 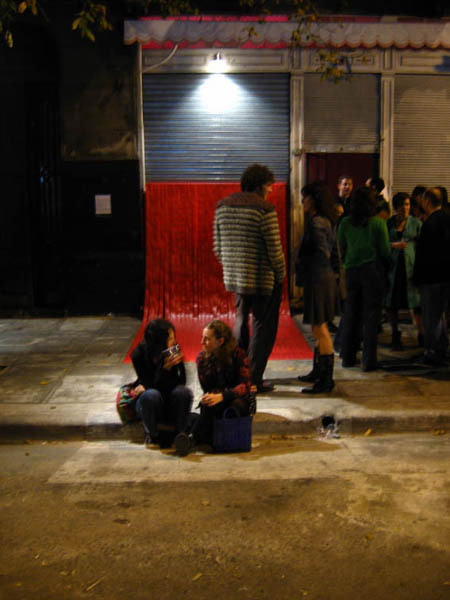 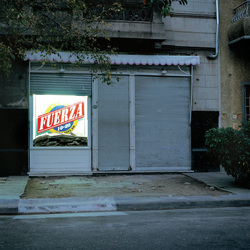 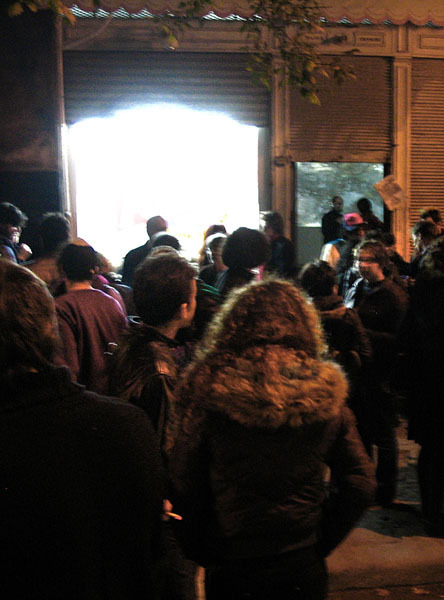 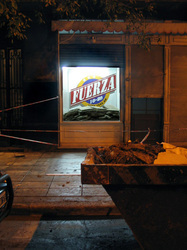 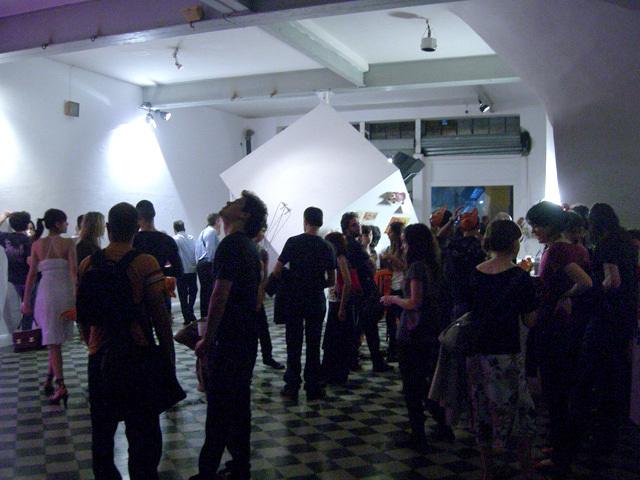 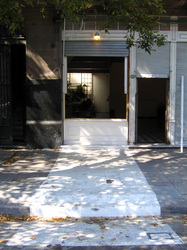 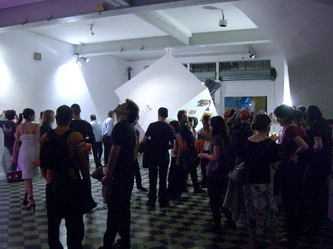 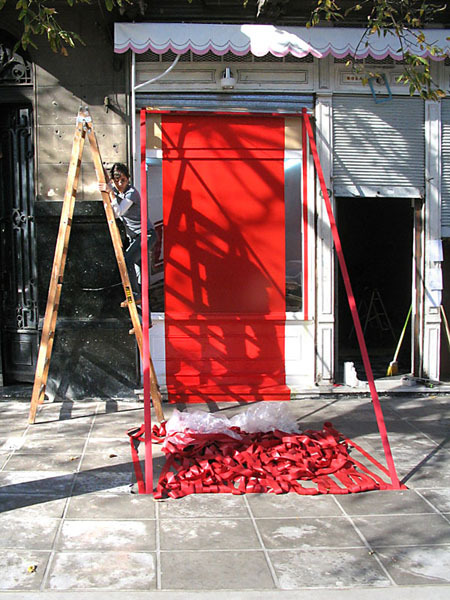 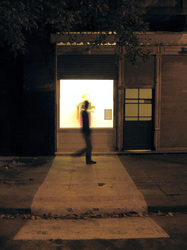 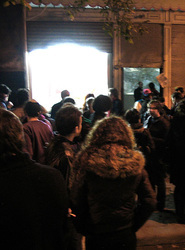 Each artist intervened in the space of the gallery during a month. 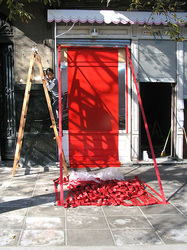 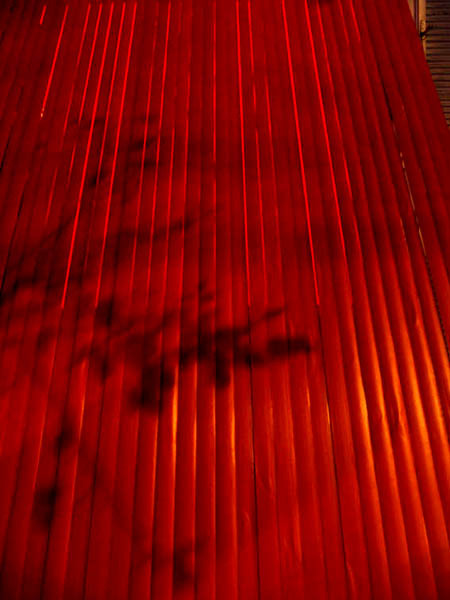 At the end of the period his work was not dismantled, but left at the place for the next artist to work with it. 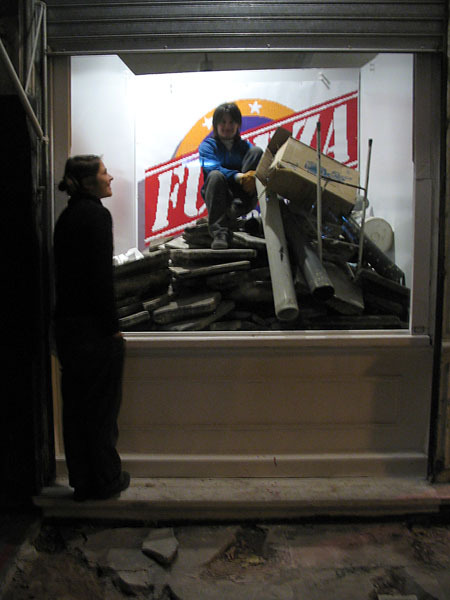 This role proposes to work on exhibition memory and the use and negotiation with the remaining information that can be used as it stands, reconfigured or destroyed. 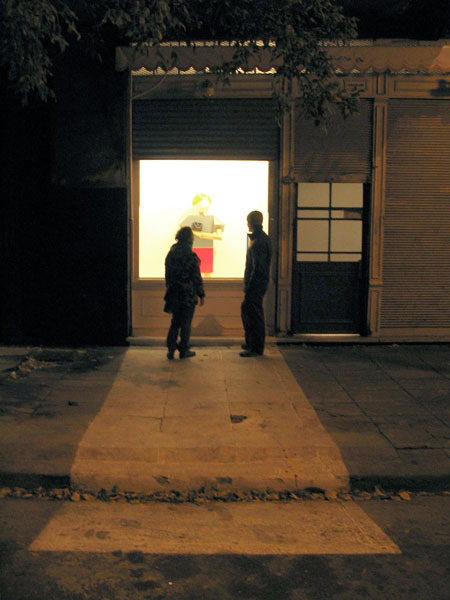 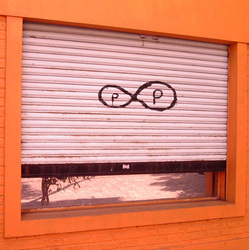 They produced works that documented subjectively the whole process, including the relation between The Windows as well as the Parasites' interference. 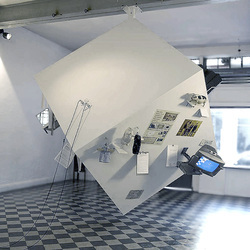 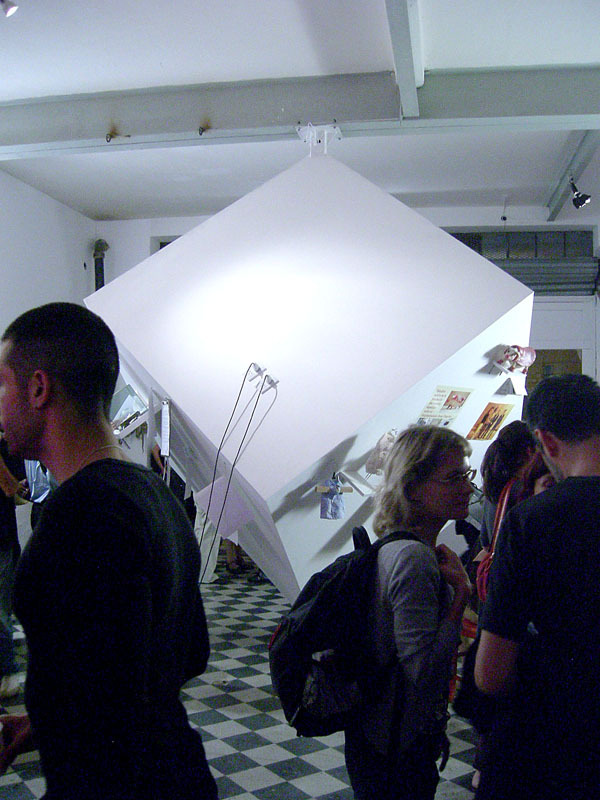 Their works were exhibited at the end of the year inside the store on a white cube of 8 cubic meters suspended from the roof. 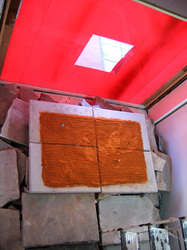 At the end of the project the gallery turned into a concrete object, a support on which the works were mounted. The Monitoring is a format that keeps working on crossings between works, experimenting, at this new instance, in the production of documents. 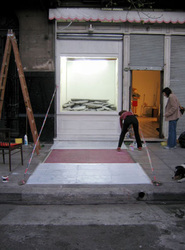 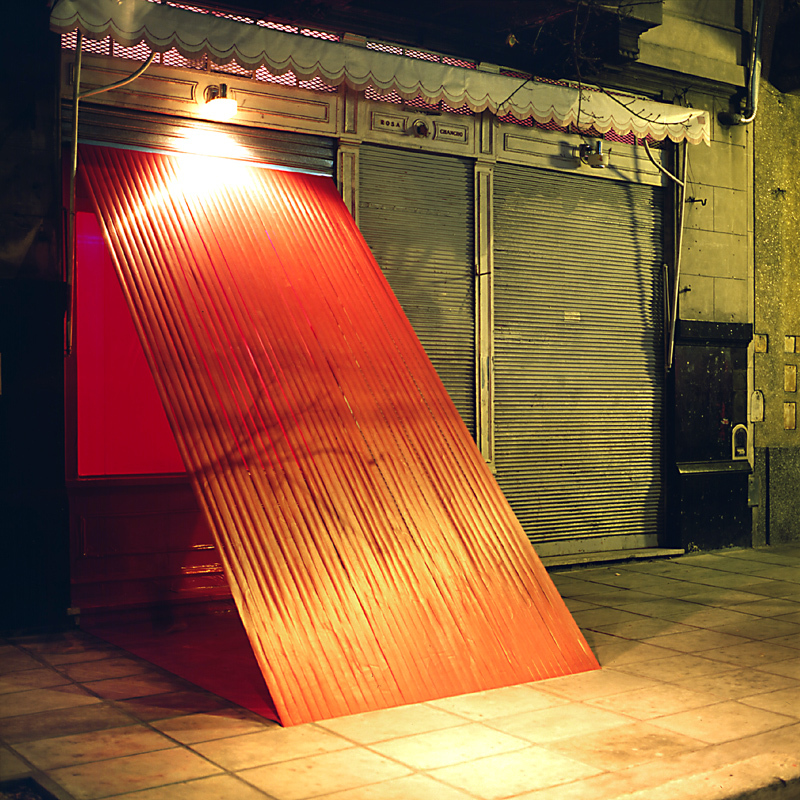 Each artist developed, simultaneously, a material document of the project and a new work. 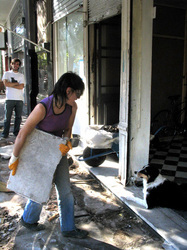 They were able to get involved at any time, either on the works themselves or in their surroundings. 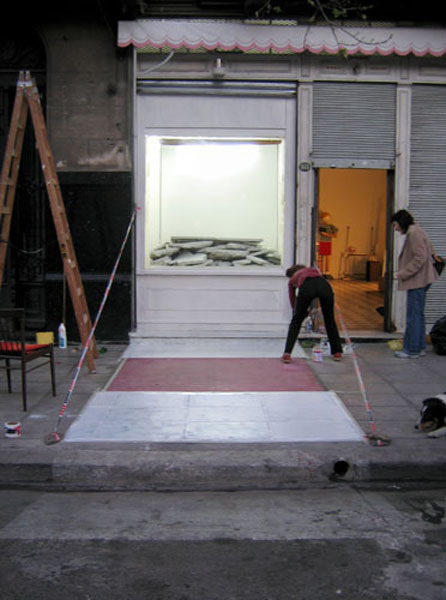 If they consider it necessary they could also require an emergency vernissage. 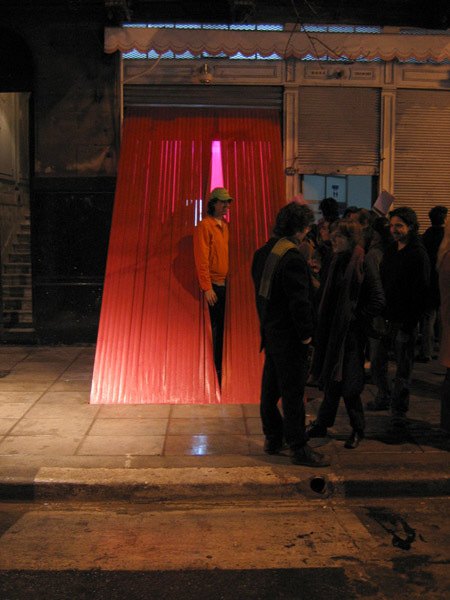 This role is crossed at a simultaneous time with the continuous exhibition system of The Window. 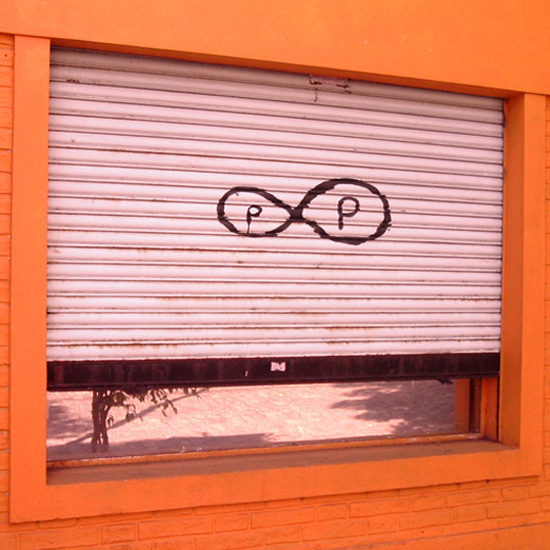 It seeks to legitimize the interference that a work might suffer in the public space by designing two artists and the attribution of an artwork status to the idea of virus that even deserves to be inaugurated.